Twitter lists are like that one hair product you’ve used forever and you LOVE it. Then you get distracted by new packaging and end up buying a new product. It’s good for a while but you always come back to your “ride-or-die” product. Why am I bringing this up? Because I see the same pattern with Twitter lists; a pattern that I myself have been guilty of. For those who don’t know, a Twitter list is a list you create of curated Twitter accounts to monitor for various reasons. Why should Twitter lists be an integral part of your overall social media strategy, especially as a B2B company? Let’s look at the numbers. • 79% of Twitter accounts are based outside of the U.S. If you’re a fairly active Twitter user, you’ve probably received a notification saying that someone added you to “X” list. Now let’s dive into 5 key strategies that you as a B2B organization can implement by using Twitter lists. 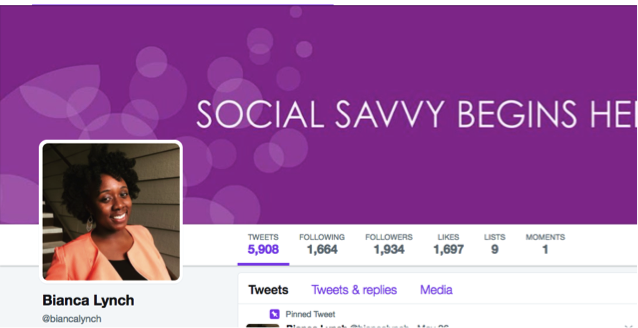 5 Ways a #B2B brand can leverage Twitter Lists in their #SocialMediaStrategy. An optimal social media strategy should incorporate original content created by your brand as well as curated content. Twitter is widely known for having the latest news and stories to keep you up to speed with the happenings in almost all industries. You can create Twitter lists based on accounts that share news about your industry. For example, I have Social Media Examiner on one of my lists because they always share the latest and greatest in social media marketing. By having accounts like this all in one list, I can quickly browse a more “targeted” timeline when I need content to share to my own feed. Using Twitter lists to curate content shouldn’t just be for the sake of having something to post. Positioning your brand as an industry thought leader should be another key priority in your social media strategy. This will make you a go-to expert in your industry while building trust and credibility among your audience. In addition to news accounts, include influencers in your industry in your Twitter lists. When someone who has a large Twitter following tweets something about your industry, be sure to share it. If you want to take it a step further (which you should), you can offer your perspective and or point out something that caught your eye in the article. Thanking the person for sharing and mentioning their @ handle is icing on the cake. You want to do more with your Twitter account than simply make it a content machine. The idea is to build a community with not only thought leaders, but prospects and customers. Twitter lists can be used to track keywords that are relevant to your business. For example, if you are a cloud technology company, you can build a list of accounts that frequently talk about cloud. When someone asks a question or poses an opinion, it is an opportunity for you to join in the conversation and show off your expertise (in a non-salesly way of course). Having a community management strategy in your social media plan is critical. Chances are, you’re not the only one in your line of business that’s on Twitter. Create a list of your competitors, then add their Twitter accounts to a PRIVATE Twitter list that you can monitor. Tracking what your competitors are doing online can give you an idea of what your audience wants. What are they tweeting about most often? Which types of content get the most engagement? What aren’t they sharing that could be an opportunity for your business? These are things to look for when monitoring and also great if you want to conduct a competitor analysis. Are you using #TwitterLists to keep track of your competitors? You should be. If you have colleagues or employees sharing content related to your business, you should be monitoring them for a variety of reasons. One, you don’t want to miss the chance to reply or retweet to a post that mentions you, increasing impressions. People love to witness the company culture and behind-the-scenes shots of employees doing cool things at work. Second, you want to make sure the right content is being shared and that it’s appropriate. Larger companies typically have a social media policy for employees to follow, which can make the social media strategy a bit trickier. Regardless, don’t neglect to create brand ambassadors for your business, utilizing your employees. It can make a huge difference in your social media success. Why Twitter lists should be an integral part of your social media strategy, especially as a #B2B brand. Get Ready, Set Parameters and Go! There are many other ways Twitter lists can be used, and these are the ones essential for a successful social media strategy. Now that you have some ideas and tips to get started, why not start building one now? Simply go to the “Lists” tab on your Twitter profile (displayed in image below), set the parameters and start adding! Have questions about how Twitter lists can specifically help your business? Tweet me @biancalynch or reach out to me via email and let’s connect! You can learn about more ways to connect with your social media audience in my previous blog 3 Key Ingredients for a Successful Social Media Strategy. 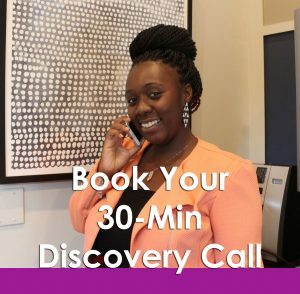 If you’re ready for a deeper dive, book your 30-minute discovery call with me to discuss how we can start leveraging Twitter lists for your business. Don’t forget to subscribe to my newsletter for more social media insights straight to your inbox!